It’s been over a month, but Bundesliga 2 is finally back in action including a match between the Boys in Brown and 3rd place Stuttgart on Sunday, Jan. 29. 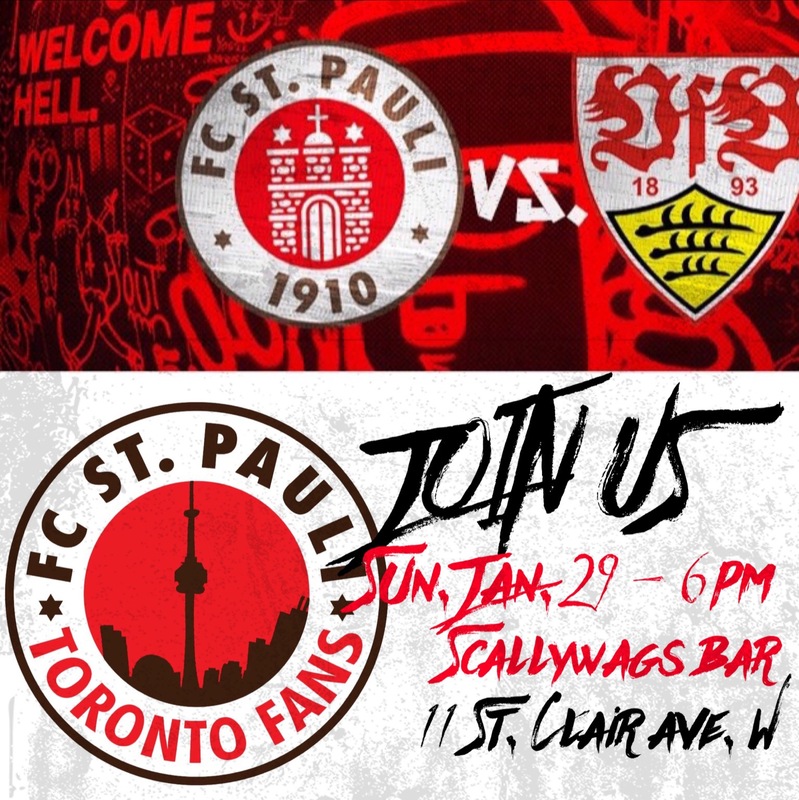 Join FCSP Toronto Fans at Scallywags Bar at 6pm Jan. 29 as we cheer on FCSP as they battle relegation with the wind of a couple of transfer signings and a strong finish to 2016 at their backs. So whether you’re an FCSP Toronto regular, a Toronto FC supporter looking for some football with heart to fill the offseason, or an FCSP supporter from near or far visiting Toronto, everyone is welcome to join us over a pint at Scallywags.